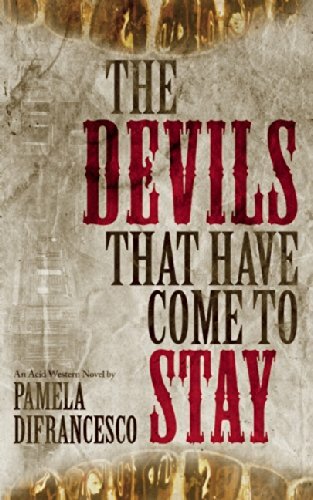 When Pamela DiFrancesco first approached me about reviewing the debut novel The Devils that have Come to Stay, I said no. I had never heard of a subgenre called Acid Western, but whatever it was, I knew it was not for me. The Devils that have Come to Stay is a riveting novel. You can read it to see what happens next. You can read it as a powerful indictment of the cruelties of the Gold Rush years in America or of capitalism itself. You can read it to submerge yourself in unique characters and a distinctive historical place and time. The novel is allegorical: a nameless Narrator takes an epic journey to find his wife and his own redemption, along the way meeting up with a Native American man with strange powers whose moral mission is larger than his life, and a terrifying Stranger whose lust for gold has made him vicious and vulnerable, a perfect man of the Gold Rush. At the same time, the book is so grounded in the specifics of daily life in California during the Gold Rush – what people ate, how they dressed, how they spoke – that the hallucinatory aspects of the book are balanced by its tangible details. So what is an Acid Western? It started as a film genre in the 1960s, which the film critic Jonathan Rosenbaum said, “expresses a counterculture sensibility to critique and replace capitalism with alternative forms of exchange.” The word “acid” refers not to the harshness of the stories – although Devils is quite stark – but to the hallucinogens that were popular when the genre was launched. Here is my interview with the novelist Pamela DiFranceso. Q. How did you first become acquainted with the subgenre Acid Western? A. My first introduction to the Acid Western genre was through Jim Jarmusch’s Dead Man, which is generally considered the epitome of the genre (even though it came about 20 years after the most popular moment for the genre). Q. Do you consider acid Western to be the subgenre you’ll continue to write in, or did it seem appropriate only to this novel? A. This will probably be my only Acid Western. While I really enjoyed writing in the genre, I like challenges and so am always pushing myself to do new things. My second novel is set in a dystopian New York City in the not-so-distant future. Q. What prompted your interest in the underside of the Gold Rush years? As someone who’s studied alternative views of history, I knew that the Gold Rush couldn’t be the spirited, exciting time that many Americans take it to be. Between the years of 1845 and 1870, somewhere around 120,000 Native Americans in California died from violence and new diseases brought by westward expansion. As I studied the time period, I learned more about the brutality of westward expansion, from capitalist violence like the foreign miners’ taxes levied only against Chinese and Latin American miners, to tales of the beheading of Mexican men that supposedly spoke to the North American narrative of beheading Mexico in the Mexican-American war. The more I learned, the more I wanted the real story of the Gold Rush to be told. Q. It seemed to me that the authenticity of your portrayal of life during the Gold Rush era is what enabled the more hallucinatory moments in your novel to soar. What kind of research did you do to portray the era in a realistic manner? A. I spent so many days in the New York Public library poring over books. I read Me-wuk folk tales, books that chronicled weather patterns and foliage growth in California in the 1840s, books on the social history of the time, books on the day-to-day items used then. I copied vernacular out of diaries and hung up a list to look at while writing dialogue. I feel like you have to do these things any time you’re building a world in a novel. You need to know how the world sounds and feels and tastes and smells, if you’re going to make that world come alive on the page. And if you’re going to push the boundaries of realism, like I did in this book, you’d better make that world all the more solid and real first. Q. What made you decide to write a novel with three main characters, all of whom are men – and nameless? A. Though the main characters of the novel are men, there are several characters who push the boundaries of gender in the novel – in fact, I would consider one of them to be one of the heroes of the novel. Due in part to my own gender identity and that of my partner, I was fascinated to learn that gender was often a shifting and fluid thing during the Gold Rush era. For example, very few women traveled West during the Gold Rush, and thus many ’49ers often ended up taking on traditionally female roles. There was no small amount of homoeroticism going on. What’s more, many people who were assigned female at birth took on the roles of men either in dress, socially, or both. Some certainly were trans men, but other were women who wanted to live adventurous lives and felt they couldn’t do so as women. The boundaries of identity in the Gold Rush were as shifting as the landscape itself. Q. Anything else you’d like potential readers to know regarding your novel? Or you? A. When I first started sending this book out to agents and publishers, I received what was probably the best rejection letter ever, stating that it was far too dark for it ever to be published. I kind think of that now, and how what one person sees as something that should never see the light of day, other people enjoy enough to put the work of a bunch of people behind. I think there’s a lesson in there about being an artist – it’s all about finding the people who think what you do works. 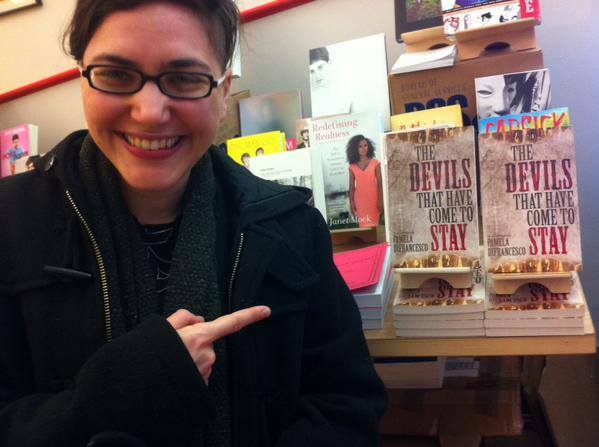 The Devils that have Come to Stay was published on February 13, 2015. At my book launch party, you could get wine. At Pamela’s launch party, you could get $13 tattoos. Read this novel, and then look out for Pamela DiFrancesco’s next book. I have a feeling it will be something to behold. I’m giving away a free copy of Pamela’s novel through my newsletter in March. For a chance to win it, simply sign up for my free newsletter, and when you receive the March edition just hit REPLY and tell me which giveaway book you want. “Weirdly gorgeous” is exactly right. 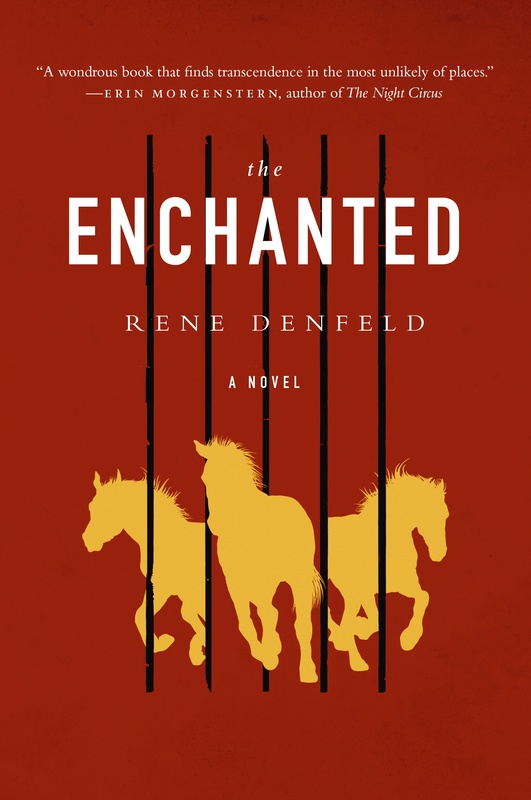 Congratulations to Rene Denfeld and the other writers whose books were honored. Want a free copy of The Enchanted? Sign up for my newsletter and a chance to win one.